Red Hook Food Vendors return to the Red Hook Ball Fields Saturday. If you aren't familiar with the vendors this Serious Eats post is a great place to get acquainted. The carts and trucks open around 10am and close near dusk. They'll be there rain or shine. We had the honor of interviewing 8 of the vendors for our book and captured many wonderful stories. The sacrifices and the adversity that these vendors have overcome all while serving some of the best, homemade Latin food in the city is inspiring. The vendors will have to bid for a new 6 year permit at the end of the season and there are no guarantees, so get out there and support the vendors and show them that all the hard work--giving up every single summer weekend--is worth it. We'll be there at lunchtime, feel free to drop by and say hello. Follow us @blondiebrownie. If you have a copy of our book already, bring it along to get it signed by the vendors and us. Our post-lunch event at Bookcourt starts at 4pm. Kim Ima from the Treats Truck will be vending outside from about 2:30pm onwards. 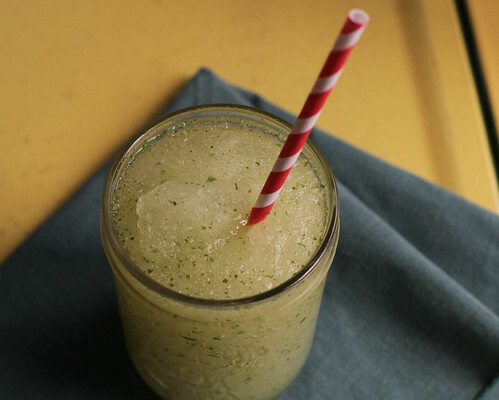 We'll show you how to make your Derby Party extra awesome with the Frozen Mint Julep recipe from Kelvin Slush, then have a street vending discussion with Kim and wrap things up with a Q&A and signing. We love drop bys, but if you do plan on coming, please RSVP to the FB event. I need to know how much booze to bring!